I didn't feel like I'd made any real progress since last week, but after revisiting the original plan and checking off a big chunk of the things to be done, I'm feeling pretty good about it! I'm well on my way to the finish line! I decided not to attempt the floor treatment because we are tossing around the idea of moving, and people in this corner of Ohio love their beige ceramic tile. A bold geometric pattern might send prospective buyers into fits. 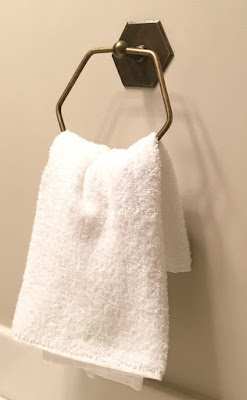 Speaking of geometric things, I stumbled upon this towel ring while shopping for hardware for this desk. $10. Yes thank you I'll take two. To save money, because that's the whole point of this challenge, I used paint leftover from the main part of our house. This is Annapolis Gray (Ben Moore). When we moved in, we painted the whole interior of the house. It was gold and it made me grouchy. Annapolis Gray is a neutral, light greige. We tried everyone's favorite, Revere Pewter, but it left an unsettling purple cast when the sun set in the evening. Annapolis Gray is exactly like Revere Pewter without the purple. And again, since we are considering a move, making neutral color choices makes more sense. 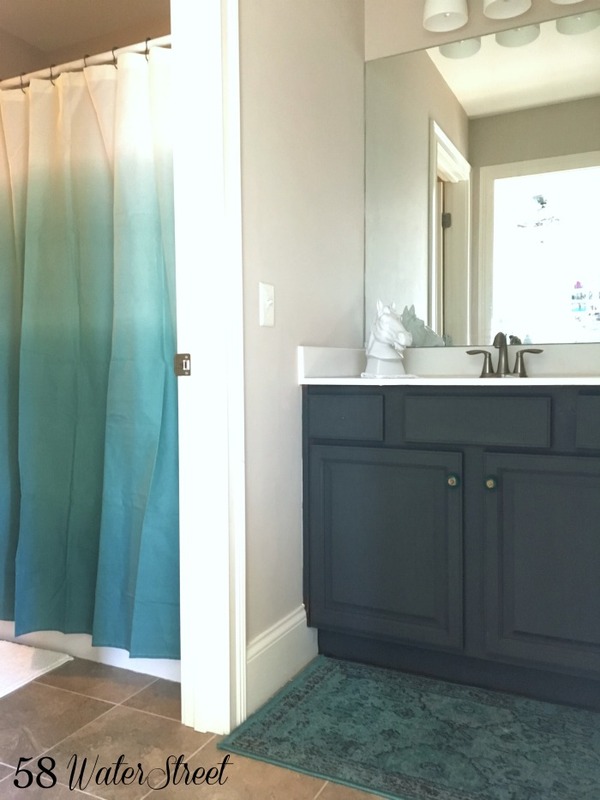 I tried the leftover paint in this room just to see if I liked it, and I really do love it. By eliminating the cost of paint, I have more money to spend in other areas. I should also mention I used leftover Annie Sloan Graphite paint and clear wax on the cabinets. I have a quart of graphite that has seen me through several projects, like this old vinyl chair. And these are the things that still need to be done. I plan to sort through our wood supply for shelves and/or support brackets before buying new. I think the remainder of my budget will be used for hooks and hardware. You are such a rockstar! 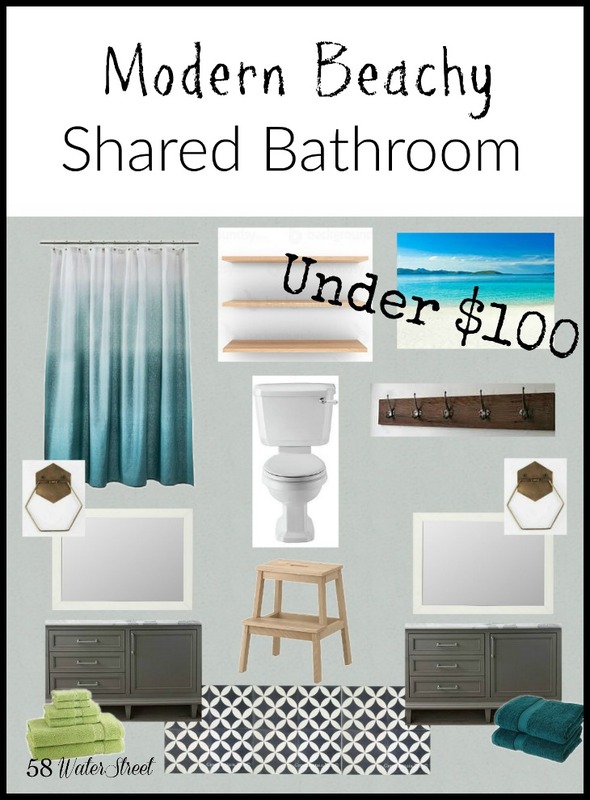 I need that towel ring like yesterday and I love that paint color! I'll have to try it out in my home.